Play Like a Girl! HB. Type: BOOKS. Detail: Shahade, J. Product Code: 9781936277032. Hardback, 100 pages. Play Like A Girl! This is a collection of tactical positions from the world's best women chessplayers. Chess lovers of all levels can enjoy the puzzles, as the difficulty goes all the way from onemove killer blows to deep, complex combinations. 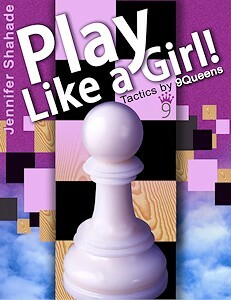 The crushing tactics in this book show that playing like a girl is something to aspire to! When you purchase Play Like a Girl!, you're also helping charity. All author royalties go to the Tucson based non profit organization, 9Queens.